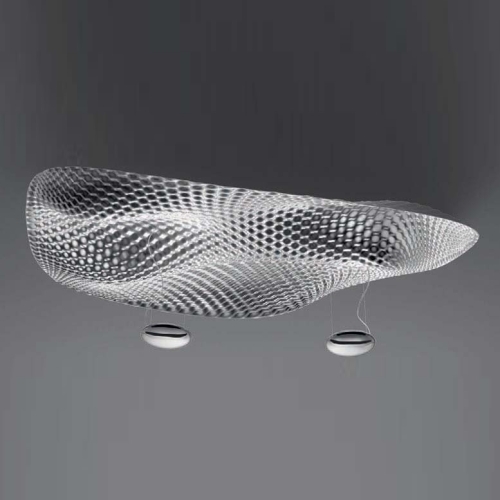 An amazing display of light is presented by Artemides Cosmic Angel Soffitto. Numerous sources of light illuminate the lamp and surroundings directly and indirectly. The sophisticated surface reflects the light and generates beautiful light and shadow effects. This luminaire is fitted with two different sockets. Two R7s sockets plus two 2G11 sockets supply the Cosmic Angel Soffitto. Two illuminants for illuminating the ceiling lamp itself and two illuminants for indirect lighting.